SINCERE TECH is a plastic mold company was established in 1979 by our Chairman & General Manager Peter Yang Tzu Yun in China. We are an experienced contract manufacturer of plastic molds (Fabrication of precision molds, plastic injection tool maker) and plastic injection molding. We developed a real know-how in our production system especially for complex works. We integrated many technologies and secondary operations to our process in order to stay one of the leaders of the plastic injection tooling and moulding sector. We are experienced in consumer electronics (telecommunications, computers, GPS…), automotive structural parts, video surveillance systems (safety dome protection), barcode scanners, marine radars, back-light modules for LCD, LED, Ultra precision optical lens parts, household appliances, sport, industrial parts, medical parts and any other industries where plastic injection is needed. We work by having always in mind our goal: building strong long-term partnerships with our customers all over the world (such as Flextronics, Foxconn, Motorola, Matsushita, Sony, Technicolor, Hitachi, Garmin, Ricoh, Bryton, Lifeproof, Venture, Apple, Micros, Seagate, HP, IPH, Yazaki, Peugeot, Toyota…) by proposing very high quality tools and products (Or we also like to call it superior quality) . The company is an expert in exportations and is used to work with all the continents. To resume, SINCERE TECH group is specialized on one hand to the plastic injection mould fabrication (Plastic Mold maker) and on the other hand in the production (Plastic injection molding) of plastic and thermoplastic molded parts through many different secondary processes with high value-added (Like double injection, overmolding, insert molding, silk-screen printing, dip-coating, sputtering or plasma enhanced chemical vapor deposition, EMI shielding…). SINCERE TECH group can manage numerous processes for your plastic components. 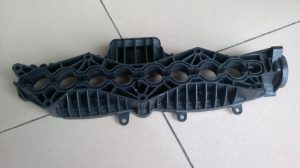 Indeed, the company can handle your plastic part needs from the design of the mould to the part fabrication through mould manufacturing and the integration of many secondary processes. You won’t need any more to have many different suppliers for your plastic products, SINCERE TECH can be your only stop. Currently with over 350 employees in 3 manufacturing sites in Taiwan, 1 in China and 1 in Thailand and a production around 400 moulds/year (With offices in China, Singapore, Japan, United States and Thailand and also a joint-venture with Muto-Seiko in China) we have the capability to meet all your precision injection mold making and high quality plastic injection molded parts requirements. SINCERE TECH is a very innovative company which is always at the top of the technology (CNC technology, IMD, IMF, IML, IMR, two shot injection, insert molding, silk-screen printing, Dipping process, sputtering, EMI shielding, Laser graving, Ultrasonic Welding, RHCM molding, double injection molding, optical lens molding…). SINCERE TECH has been able to adapt to market changes and always improve itself through innovation thanks to very active teams of Research and Development and Designers. Our experience in plastic injection tooling of more than 30 years makes us specialists in the mold fabrication and plastic injection molding. This permits us to have a very competitive Quality/Cost ratio. Moreover, SINCERE TECH International Technology Inc received important quality accreditations such as ISO 9001, ISO 14001 or ISO/TS 16949. Our annual production of around 400 different plastic injection molding tools / moulds and hundreds of different plastic parts (and molding of millions of these parts) gives us the experience and capacity to meet customer requirements and schedule which is one of our group’s strength. Our main purpose is achieving customer satisfaction by understanding and bringing personalized solutions to the projects and ideas of our customers. Many companies pretend they propose very high quality and low cost. Actually, you need to choose. In SINCERE TECH we chose a very high quality model respecting the highest standards on the market. 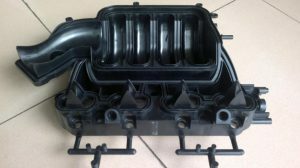 With this high quality moulds and plastic parts, we propose a reasonable price, it means a competitive price in comparison with the superior quality proposed. 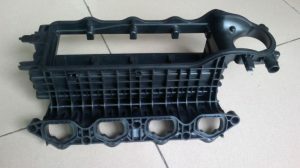 There is no mould too complicated for us: our experience allows us to be able to respond to all your problems regarding complex tooling (Double injection molding, many lifters/sliders, high respect of dimension tolerances for more info plase go to https://www.plasticmold.net/double-injection-molding/…). Contact us and we will help you to realize your projects. Plastic injection molding is the principal process for producing plastic products or parts of products. Plastic is acknowledged to be a very flexible and cost-effective material that is used in many applications. Although the tooling can be expensive, the cost, per part is very low. Intricate geometries are limited only to the abiltiy to create the injection mold. Things you use everyday, such as the case that houses your monitor, the keyboard on which you type or the mouse on your desk were produced with plastic injection molding. Plastic injection molding involves the transformation of a plastic solid, usually in the form of granules or pellets, and heating the plastic resin to a specific temperature until it melts. The melt is then forced into a mold made up of two or more dies, where it is forced to “cool”, resulting in producing the desired shape. A specific amount of time passes, usually a few seconds, and the mold is then opened and the part is released. This cycle then repeats continuously until the desired quantity is reached. The design of the part, and therefore the mold, needs to include draft features (angled surfaces) to make possible the removal of the part from the mold. Typical draft angles are about 1 to 2 degrees for part surfaces which do not exceed five inches. Dimensional tolerance specification will dictate the final cost of the part as well as its ability to be manufactured. If there is a small section of the part which needs higher tolerances, such as the location of a critical feature used for alignment,do not specify a tight tolerance, as an alternative, plan and design for post molding processes such as machining to achieve the desired results. It is very important that uniform wall thickness be maintained at the corners. The internal and external radius need to share the same center point. External radii = internal radii + wall thickness. The minimum radii should not be less than ¼ of the minimum wall thickness. Design for radii to be ½ to ¾ of the nominal wall thickness. When a large amount of stress is going to be present, it is very important to design in larger radius as this will distribute the stress much more evenly. The production of thin wall items such as a clamshell for retail packaging are possible with today’s technology. Products with thick walls are also easily produced. However, parts which require uneven wall thickness present a challenge to the plastic molder manufacturer. Creating a part with a uniform wall thickness and cross section will abridge manufacturing and reduce costs. One issue to be aware of is sinking. Wherever an intersection or “tee” occurs, there will be some degree of sinking. This occurs because thicker walls cool at a slower rate and therefore create this problem. Ribbing should be ½ to two thirds of the nominal wall thickness and less than 3 times the thickness in height.A taper of 1° is usual. Note: as mentioned above, excess thickness can result in shrinkage.An excess in rib height combined with a taper will produce thin areas requiring extra fill time at the mold. The location of weld lines needs to be considered by designer before a injection mold is created. Weld lines are formed by the joining of the flow fronts of the plastic during molding. One issue of concern is the that the weld line area is more susceptible to cracks and stress failure. Diameter Ratio should be minimum ratio of 2., this will reduce risk of failure. Another factor in the design will be the clamping pressure required to produce the part while the plastic is being injected. Smaller cavities can result in high pressures being required to force the plastic or rubber material to fully fill the mold cavity. This will, in turn, determine the thickness of the mold material, usually steel) as well as the type of machine in which can be used. Many factors must be taken into account when designing a mold for the creation of plastic injection molded parts. Factors such as draft angles, wall thickness, ribbing (not the kidding kind), bosses and weld lines and clamping pressure all come into play when designing a mold that will be used in a plastic injection mold machine. Each facet is important in and of itself, but as a whole, each one affects the others. Therefore the design of a mold for plastic molding can be quite involved. When done correctly, the result will be a mold which will yield thousands, hundreds of thousands, or even millions of parts over it’s lifetime. 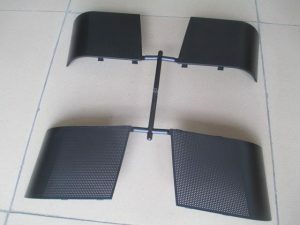 No matter you are looking for million of shots of plastic molds or a few hunderd of shots of mold, https://www.plasticmold.net/ will support you plastic injection molded parts with one stop service. The designs of the injection molds are predetermined by whose company is requesting the parts. A lot of thought has to be put into making the molds, the molds have to be designed so that the molds don’t get stuck inside the mold and ruin the piece. The molds are designed that when the resin (hard plastic) is complete that the mold can be taken out and polished to be the piece that the mold was designed for. If any air gets into the plastic molds or any kind of condensation the mold could get ruined and must be done again. This is not very productive, so the molds must be made to the exact specifications. The molds come in tow parts called the core and the cavity, the core is the middle of the mold and the cavity will encase the core when the mold is complete. Each part must be removed with care, any imperfection and the mold has to be tossed out. There are molds that they are considered easy and then they have what they call the more complex molds. Some molds are very complex that they have different parts to them such as slides as well as a core and a cavity. Remember, you can create a car door with injection molding so you have to know that the mold for that is going to be very complex. When you get a mold that is very heavy, the core and the cavity in conjunction with cooling hoses working together they form a molding tool. Sometimes when the tools are heavy they have to be lifted into the molding machine. When the tool needs to be cleaned or maintained they can hoist it back out again. So far, these are the basics of injection molds.